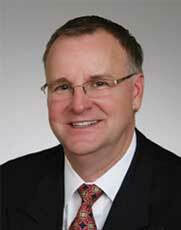 Bob has accumulated a vast amount of experience in his over 22 years as a Real Estate Broker, and the well-deserved respect of his clients and colleagues, having assisted over 1,000 investors and families with their real estate investment needs. He has been synonymous with business expertise, extraordinary service and the highest level of integrity in the Sacramento real estate community. Bob's guidance, experience, insightfulness and expert negotiating skills have proven invaluable to his many clients. With his extensive experience in Sacramento's investment community, Bob can offer his clients invaluable market knowledge in addition to legendary customer service. A firm believer in contributing to the local real estate industry through leadership and committee involvement Bob is the Past President of both the California and Sacramento Associations of Residential Property Managers, keynote presentation and instructor for the Sacramento Association of Realtors as well as a member of the California and Sacramento Valley Apartment Associations. Bob and his team are independent thinkers, dedicated to providing "first class" service; whether they are assisting a first-time investor who's buying their first investment property or coordinating a 1031 exchange for a seasoned investor with a portfolio of investment properties. As one client put it, "a hard-working professional team who talks straight, and is dedicated to making the owners investment make money…..” that KTB Property Management. Vanessa is the Inspection Coordinator for KTB Property Management. 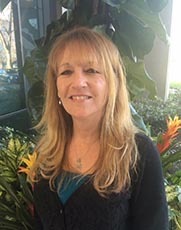 She is responsible for property inspections the company, including the Sacramento Rental Housing Inspection Program, for both the City and County of Sacramento, along with all the needs procedures required by the agencies. With 28 years in rental housing arena, Vanessa’s experience as a Community Director and Maintenance Coordinator for both apartment communities and single-family homes brings high level support to the KTB Property Management Team. Additionally, she excels in trouble shooting maintenance repairs as well as customer service communications. April is a Sacramento native and has lived and worked in the area her entire life. She had an extensive career in film and arts included being featured in a few Hollywood productions. April, along with a degree in life science including animal medicine. April’s knowledge in accounting and office procedures in business provides KTB Property Management an extremely motivated and insightful administration manager ready to serve our clients. In addition, April’s love of animal shines through as she cares for pets in her neighborhood as well as her own cat, her baby, Oman. In the fall of 2013 Kim left the corporate world where she had dedicated progressive career in branch and sales management, field marketing, event planning and business consulting to pursue new opportunities in Real Estate and Fitness. She became a licensed Realtor and Property Manager as well as starting her own Fitness & Wellness Company. 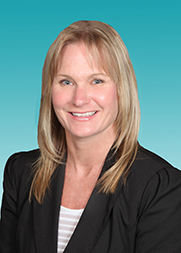 Kim is licensed in Property and Casualty Insurance and has been a certified Fitness coach for over 20 years. Kim has been an athlete all her life starting as a completive ice skater in her younger days to competing in Ironman triathlons later in life. In her free time she enjoys yoga, spending time with her two boys and backpacking with her husband.